Rollover Crash On Blue Heron Blvd In Riviera Beach Leaves Man Injured | Schuler, Halvorson, Weisser, Zoeller & Overbeck P.A. A Boynton Beach man was injured in a multi-vehicle rollover crash in the westbound lanes of Blue Heron at Central Industrial Drive. A 2001 Mercury Sable was traveling westbound along Blue Heron Boulevard when it veered off the roadway on the west side. The car hit a Mercedes Benz in the rear. The impact of the collision caused the Mercedes to overturn onto its roof, according to the Riviera Beach Police. 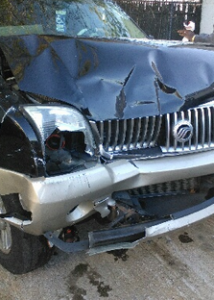 The Mercury Sable went on for a short distance; hit another vehicle before coming to a halt. A Boynton Beach man suffered critical injuries in the rollover crash and was transported to St. Mary’s Medical Center. His current condition is unknown. It is not known whether the man was wearing a seat belt or if the crash was alcohol-related, according to the crash report. Lanes are blocked along Blue Heron Boulevard in Riviera Beach due to the rollover crash. The Riviera Beach Fire Rescue crews are on scene cleaning up the wreckage and debris. No word yet on what caused the crash.